Enforcing a non-compete agreement is not as easy as one would think. Often the language can be difficult to enforce. Knowing how the courts view a non-compete will greatly influence the case results. Find out how North Carolina Courts will determine a non-compete case by reading this great resource from our Raleigh business lawyers. Non-Compete Agreements In NC – A Major Shift? Non-competition agreements, commonly referred to as non-compete agreements, are often requited from employers. In recent history, these contracts have been held up very strictly by the courts of North Carolina. Lately, there appears to have been a shift. Now, the North Carolina Court of Appeals has potentially decided to change the rules of the game to clearly benefit employers. 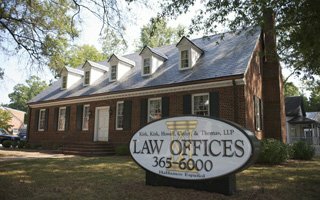 Is The Landowner Protection Act Being Strictly Enforced In North Carolina? If you own land, you have probably heard about the North Carolina trespassing laws which help protect your land. You may also be aware of the Landowner Protection Act, a law that became effective on October 1, 2011. The purpose of this legislation was to help further protect land and wildlife on these lands. Learn about how this may affect you! Is It Legal To Record A Person In North Carolina? We are often asked about recording a third party. This can be a complex issue because the law varies from state to state and North Carolina is no exception for having different laws compared to its neighbors. Whether you are a journalist, employer, or artist, be sure that you know the law and how it applies you. Being a criminal defense attorney, I see a lot of cases which involve drug use. Unfortunately, many of the cases involving drug use also include some form of drug addiction. There are many options for overcoming addiction, though, in many cases, Drug Treatment Court is the recommended option. But after all, what is Drug Treatment Court? Can You Stand Your Ground In North Carolina? “Stand your ground” laws have taken the spotlight in the news lately, in part due to the Trayvon Martin/George Zimmerman trial in Florida. As a result, some Carolina residents have begun to question the status of North Carolina’s “stand your ground” law. Know what is acceptable and what is not!